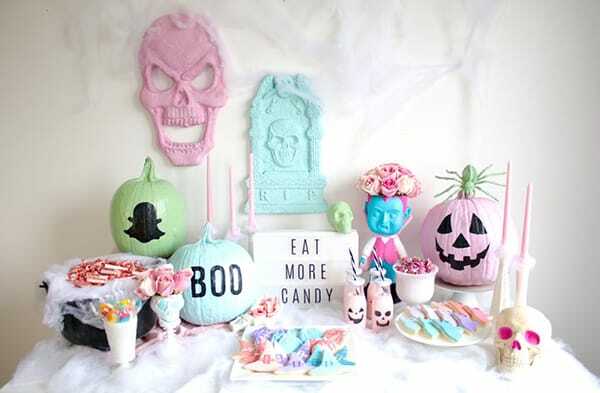 Want to give your Halloween decor or party a little twist? How about a cheerful, colorful Halloween? It might seem counterintuitive given what the holiday is known for but that’s what makes the concept so interesting. Embracing a color palette and theme that contrasts with the traditional Halloween vibe are what makes it such a bold, compelling choice. You can still keep the spooky elements that are associated with Halloween (skulls, jack-o-lanterns, spiders, ghosts, witches, etc). Then, pair them with a colorful theme and some contrasting elements like flowers. 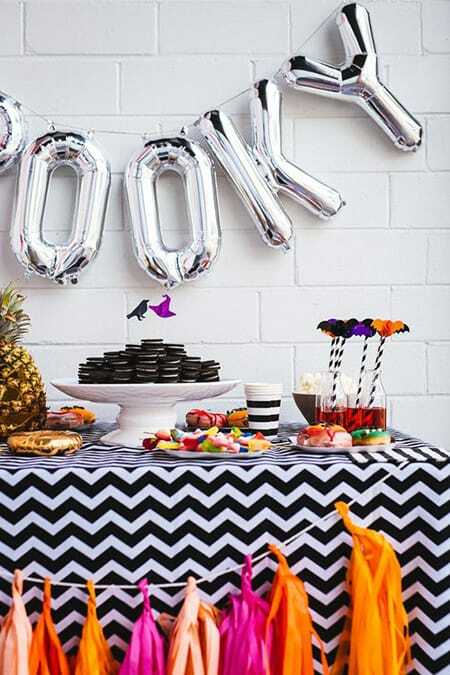 It’s a fun way to put a spin on Halloween that no one will expect, especially if you’re throwing a party. 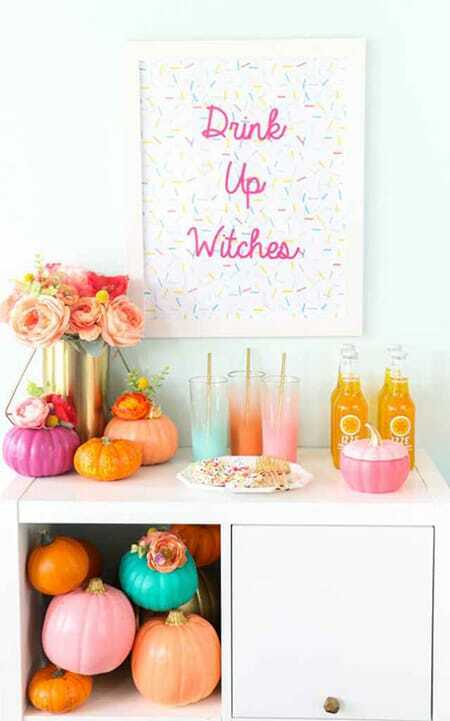 Here are 10 cheerful and colorful Halloween decor ideas to inspire you. Who said you can’t use flowers during Halloween? They add a beautiful touch to the colorful pumpkins in this beverage spot. Colorful tassels and treats pop against the black and white tablecloth. 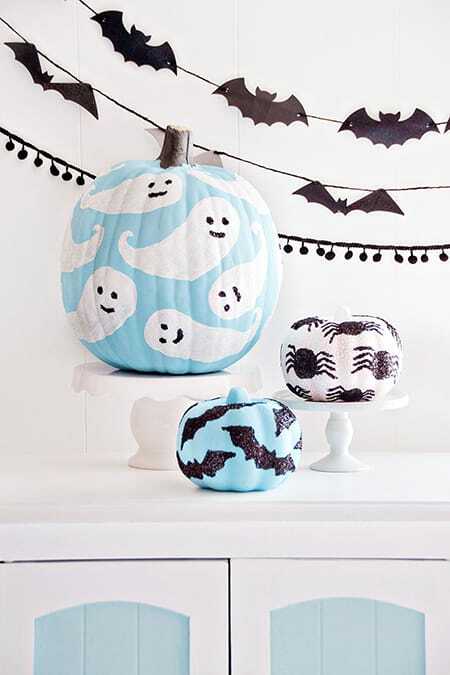 Baby blue isn’t a color you see associated with Halloween often but it looks adorable on these pumpkins. 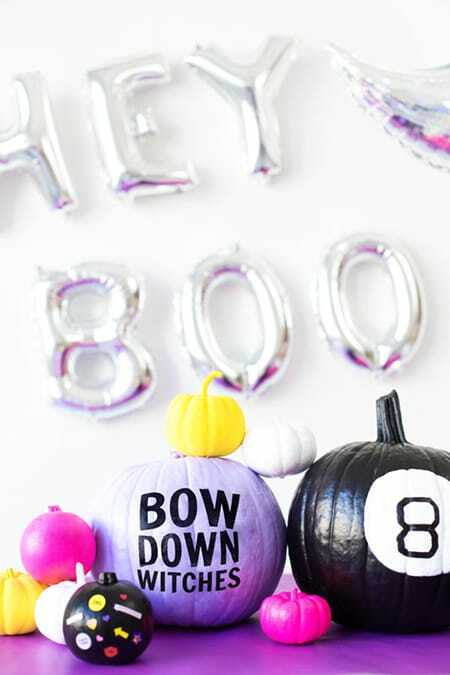 How fun are all the bright colors on these pumpkins? 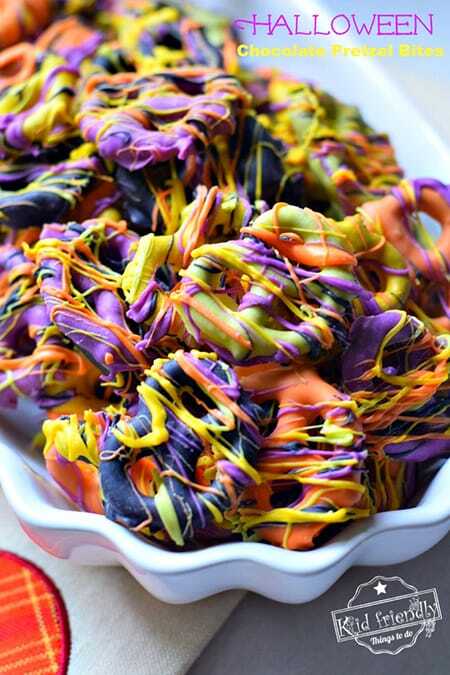 This delicious snack is full of bright, bold colors that will bring some fun to your Halloween party. 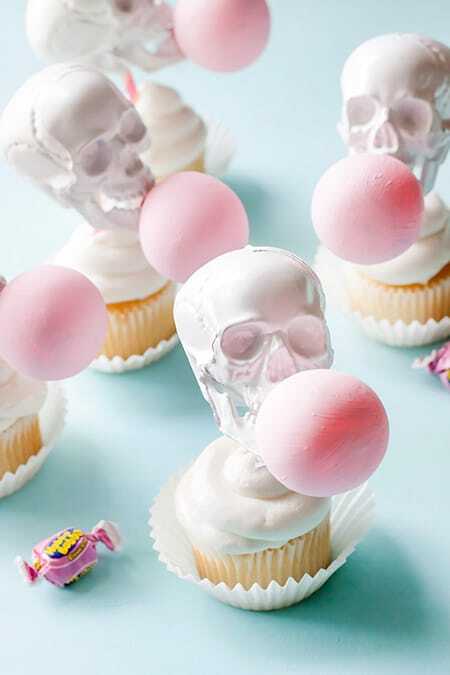 What’s not to love about skeleton cupcakes blowing pink bubbles? 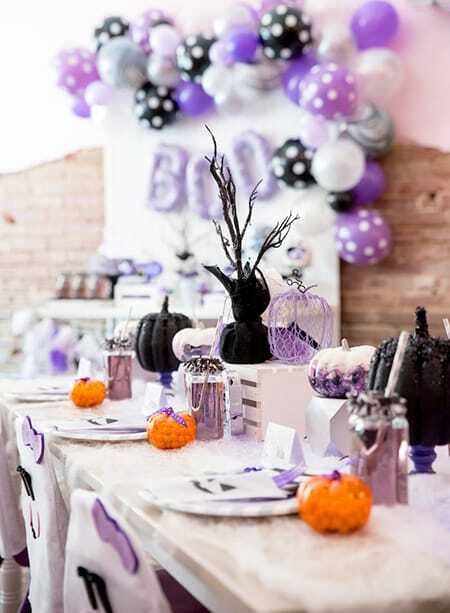 Purple and orange are used in a cheerful way against a white backdrop for this tablescape. 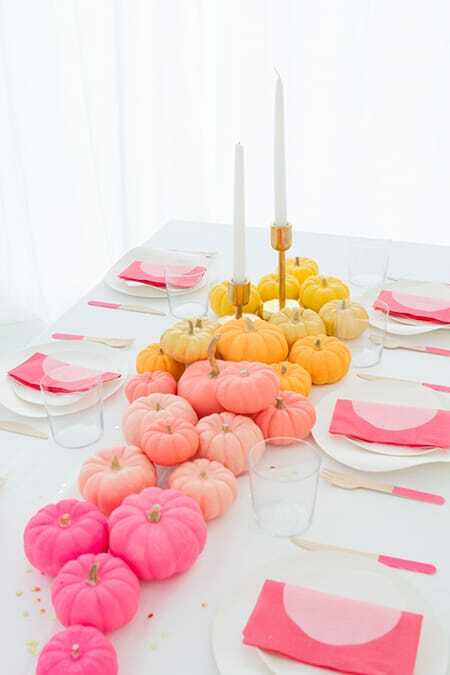 Pink, peach, orange, and yellow pumpkins create a gorgeous ombre effect for this unorthodox fall centerpiece. Pastels make spooky elements (like angry skulls) positively adorable. 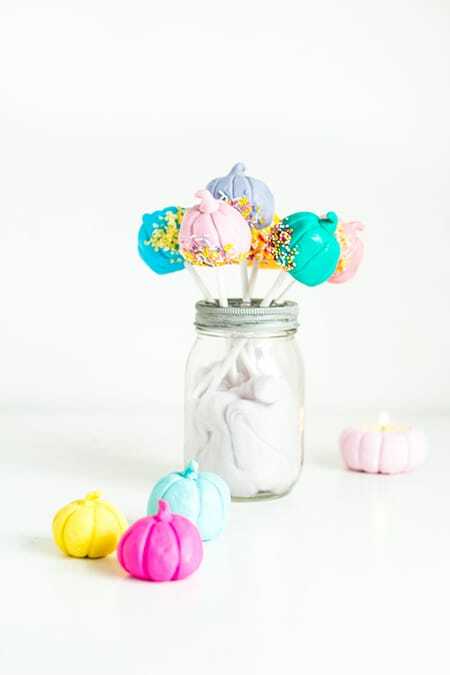 These pumpkin pops are cheerful, fun treats that are almost too cute to eat. What are your thoughts on cheerful Halloween decor?